Kirsten is enthusiastic about the power of yoga to help people of all abilities discover their innate strength and wisdom. As a mother of two and a sailor, Kirsten finds yoga a welcome companion. Kirsten took her first yoga classes in the late 90s as way to build physical strength and mental focus for her other passion, sailboat racing, and found a treasure trove of vitality and serenity. 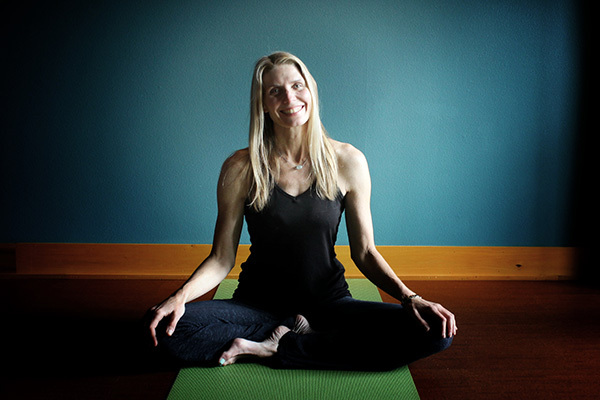 Kirsten began teaching in 2002, with certification from Samadhi Yoga in Seattle, later complemented by pre / postnatal yoga certification at the Seattle Holistic Center. Her classes strive to meet individual needs and Kirsten is grateful for the warm supportive community at The Yoga Studio in Magnolia.